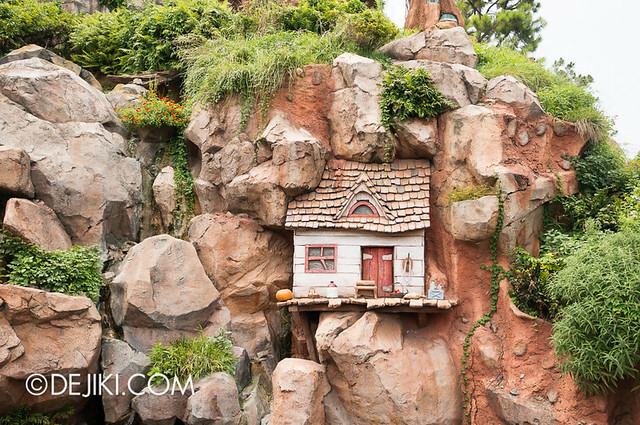 Critter Country is the smallest themed area in Tokyo Disneyland and home to the classic Splash Mountain attraction. 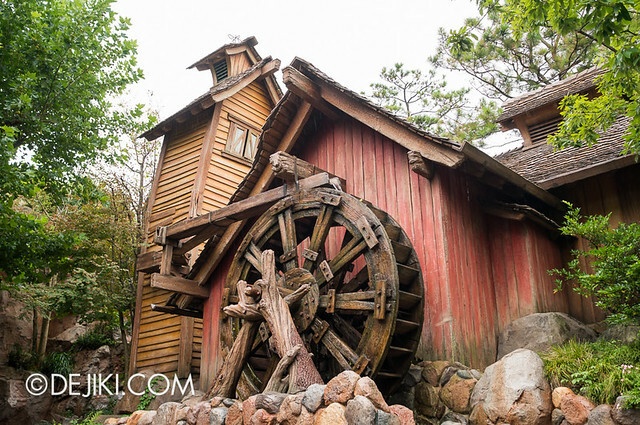 While this area was built in its own little corner to house Splash Mountain, its rustic charm certainly feels like an in-between of Westernland and Fantasyland. 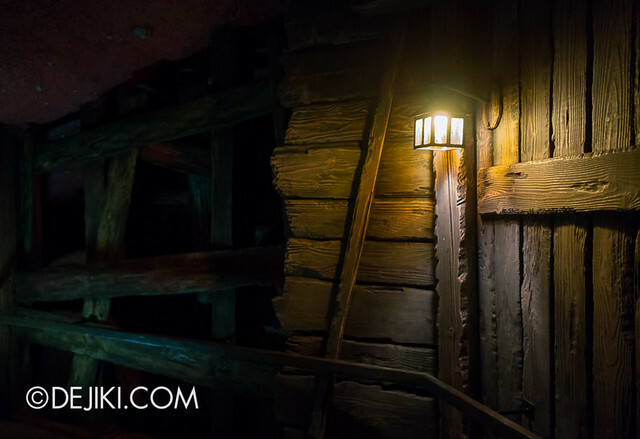 Splash Mountain is also nestled next to the Haunted Mansion (although it’s impossible to see either attraction from the ride and queue). 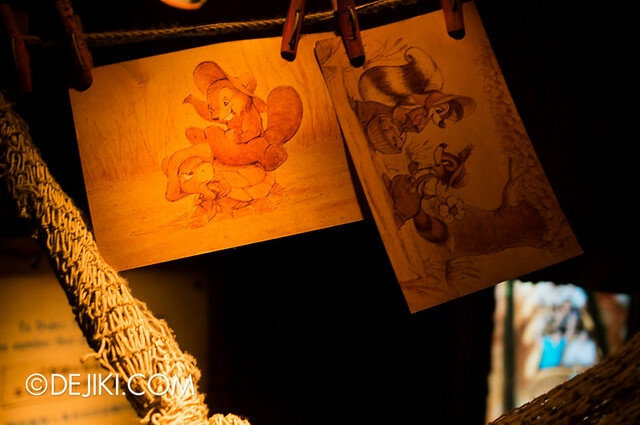 The other areas of Critter Country, including its shops and eateries, are extensions of the Splash Mountain attraction. 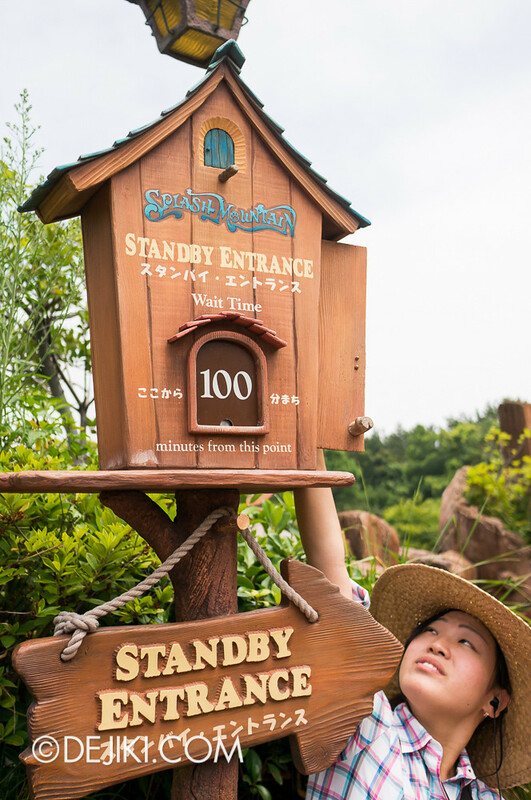 A cast member sets the standby line wait time display for Splash Mountain. 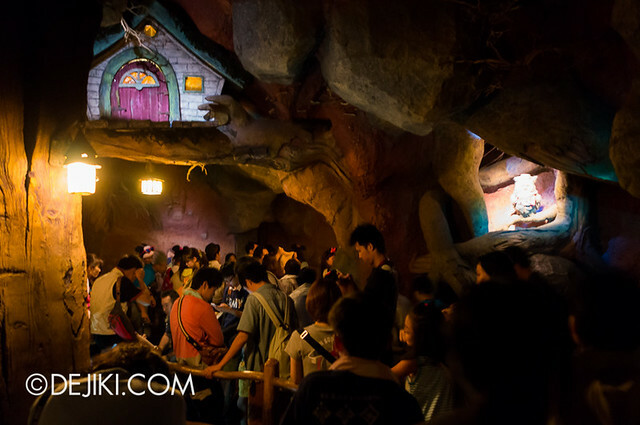 As a “Mountain” of Tokyo Disneyland, Splash Mountain is immensely popular. 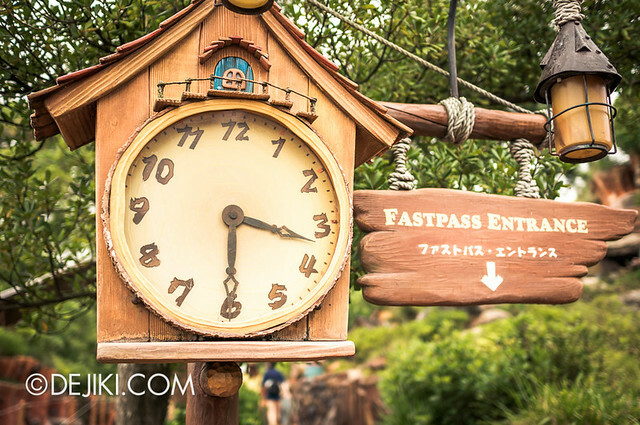 Good thing Fastpass will usually still be available in the late morning and early afternoon (might be a good idea to make this your second or third Fastpass of the day). Expect to wait at least 1.5 hours or even more. 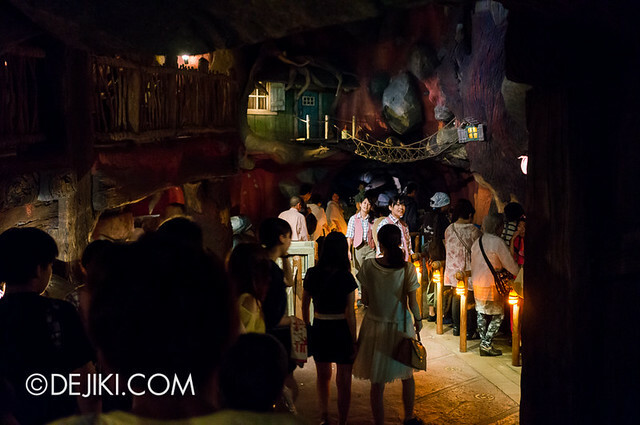 Good thing most of the queue is indoors, within the mountain itself. 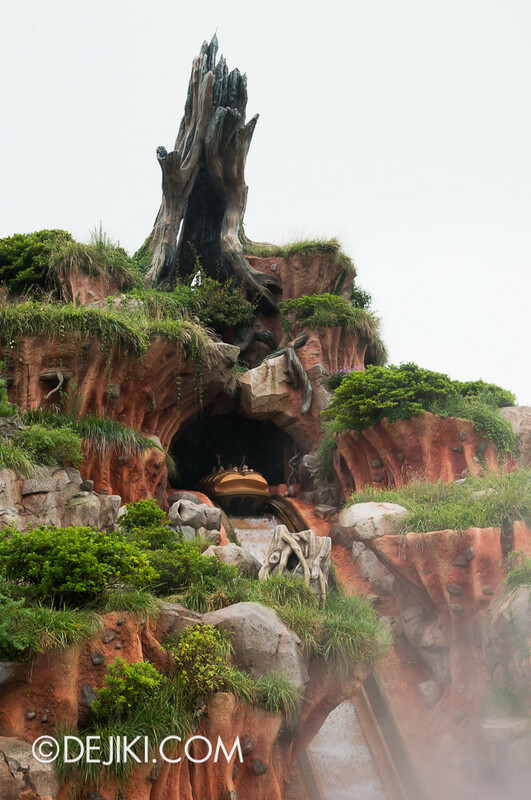 Let’s take a look at Splash Mountain. 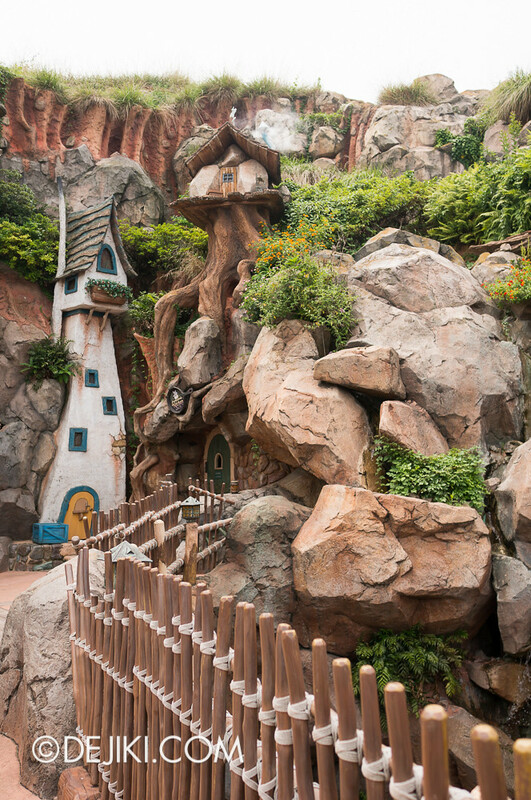 The drop isn’t very steep, but is certainly has the right height and angle for a memorable fall into the Briar patch. 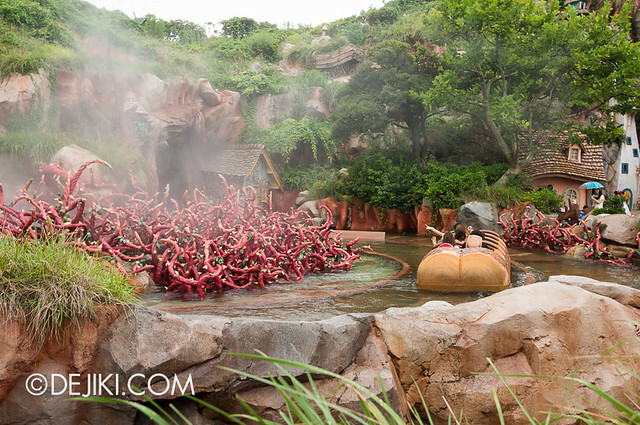 Boats will circle around the patch in the early section of the ride. 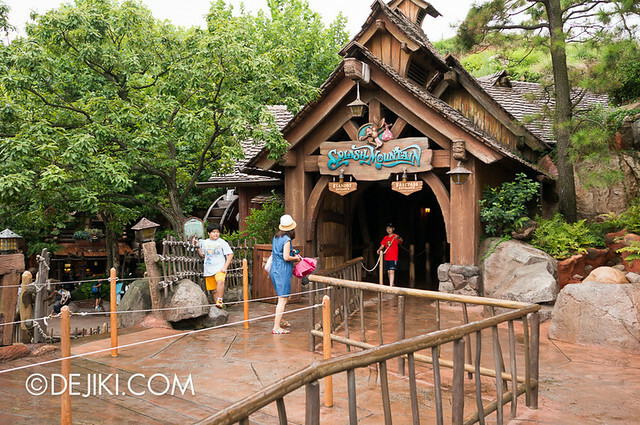 The Japanese version of Splash Mountain has a splashdown that is very toned down. Its really just a light splash on your upper body, not something soaking. Technically, the water hardly comes from the boat crashing into the water, but from water sprays along the side of the slope. 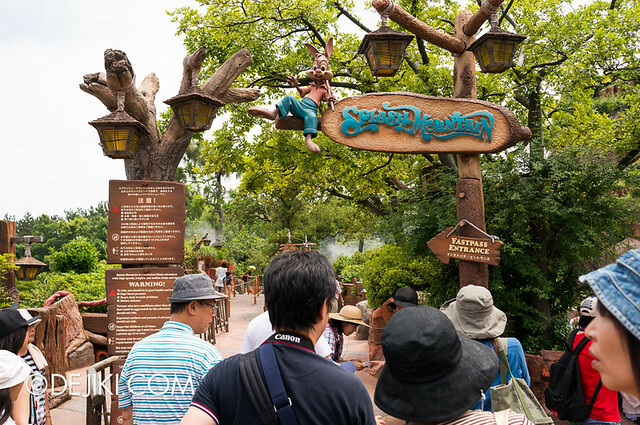 The ride is based on Song of the South and brings all of its characters to life, singing and dancing. 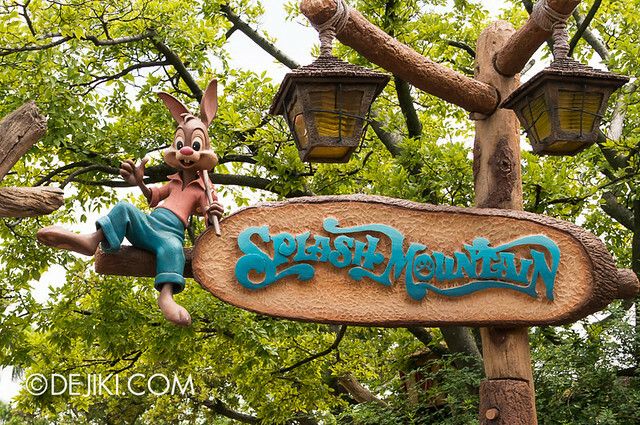 The story follows the Br’er Rabbit’s journey and misadventures to find his “laughing place”. He escapes from being captured by the Br’er Bear and Br’er Fox a few times, before falling into the briar patch (and survived unscathed). 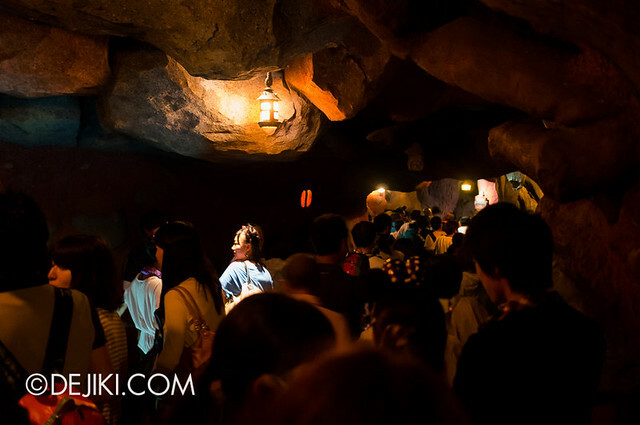 The queue winds inside an elaborately themed cave beneath the mountain. 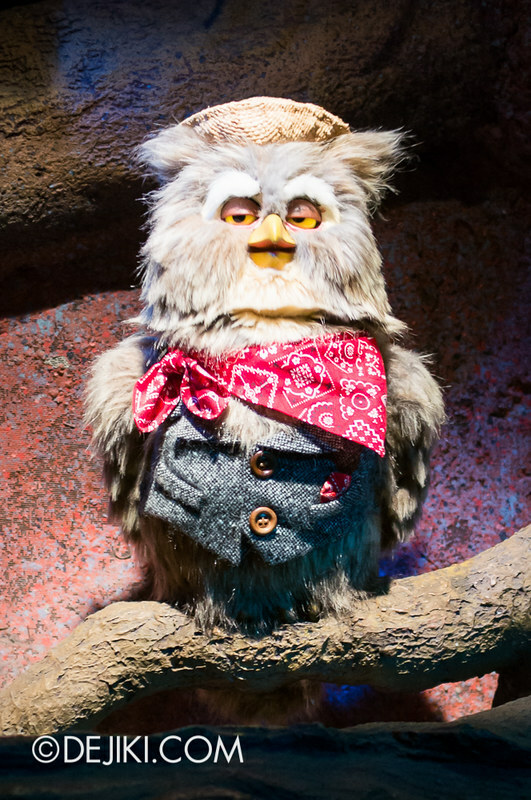 Professor Barnaby Owl – an audio-animatronic figure in the queue. 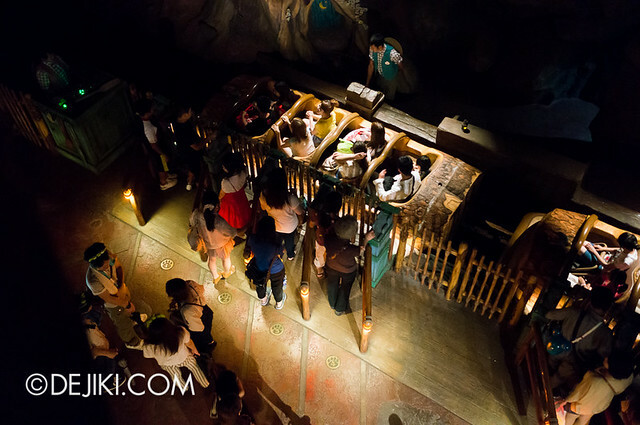 The ride uses a dual-loading platform (and unloading at another platform). Boats are loaded, checked and dispatched very efficiently. 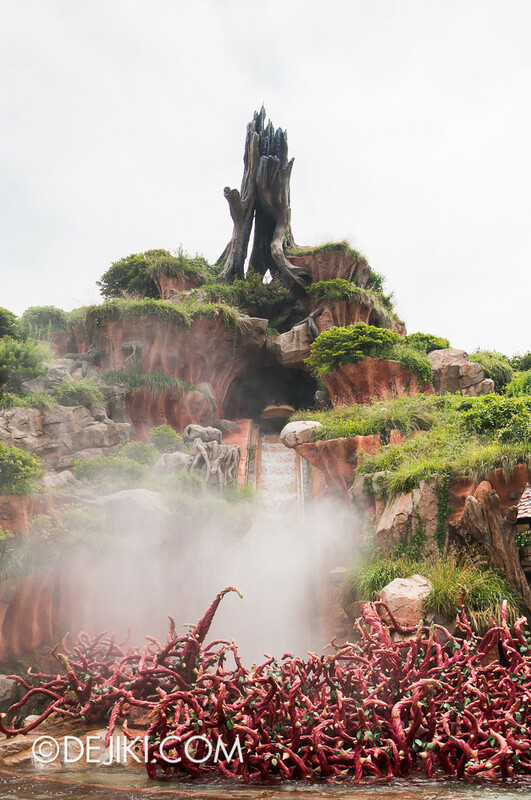 I have no photos of the ride itself – we were lucky to be offered front row seats over a family (who sat behind us) and it would be very rude to snap photos in front of them during the ride. Nonetheless, ride-through videos can be easily found online. 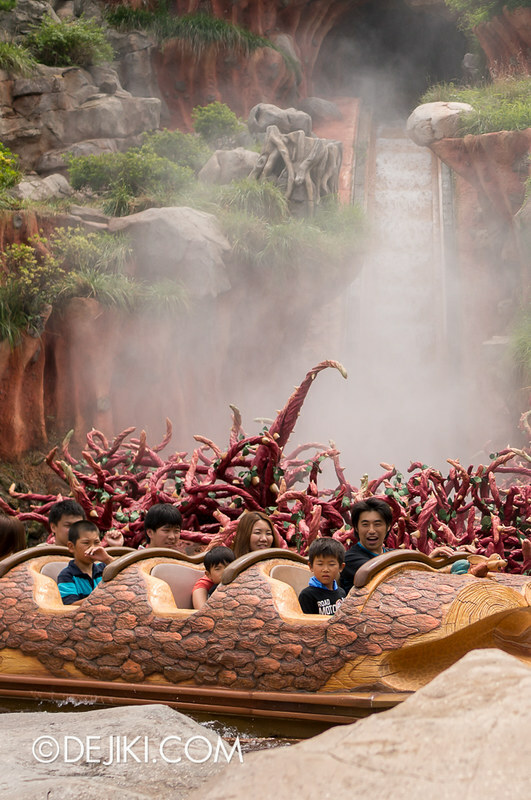 The ride features a LOT of animatronic animals. I’m very glad to say that everything looks great and appears to be working perfectly, as if the ride first opened just yesterday. 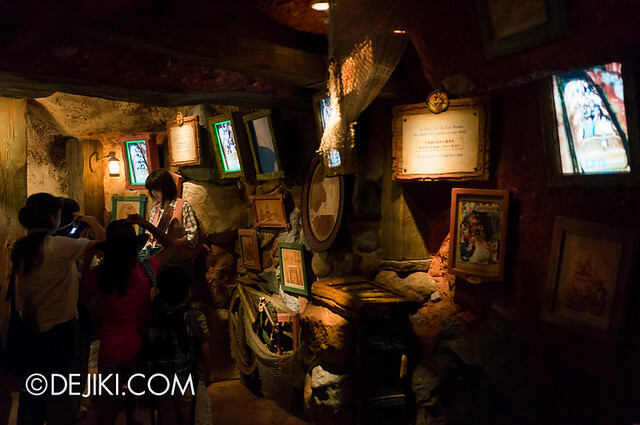 The ride exit leads to a cozy corner, almost like a home where singing animals live, where on-ride photos can be bought. 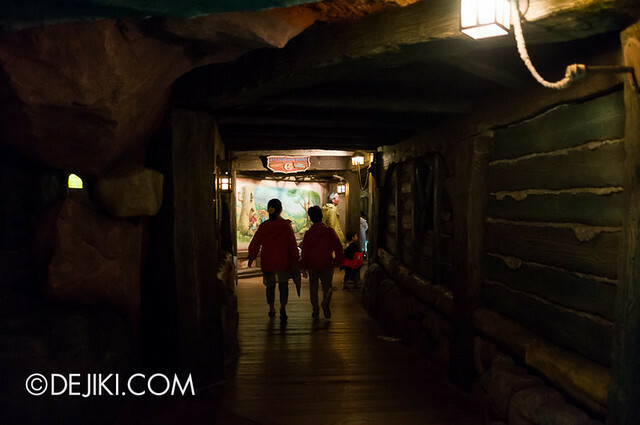 We’ll return to Tokyo DisneySea for the next part of this Photo Tour, with features covering Port Discovery and Lost River Delta. 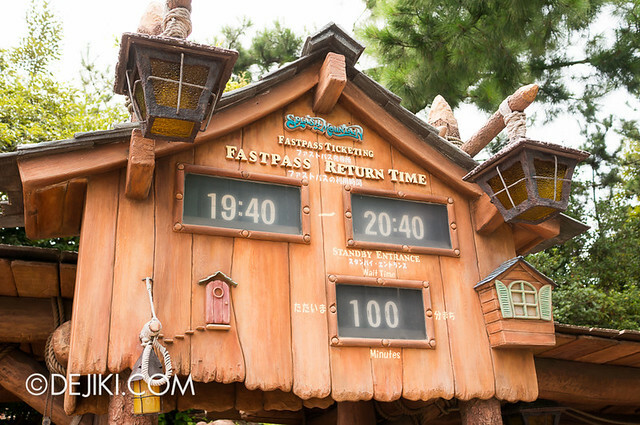 This is the only attraction in Tokyo Disneyland to have single rider queue. But it is not advertised on any signage. 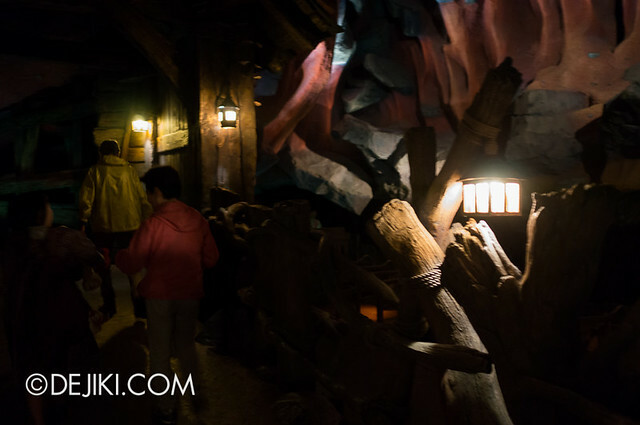 To utilise it just walk up to the FastPass entrance and say “Shinguru Raida” (Single Rider) and the cast member will promptly let you in. When the 2 queues merge in the mountain and they ask to show your FastPass just repeat “Shinguru Raida” and they will dispatch you accordingly. That’s an excellent tip, Wee-Sen!